The next installment in the beloved Marvel Ultimate Alliance series just got an official release date. 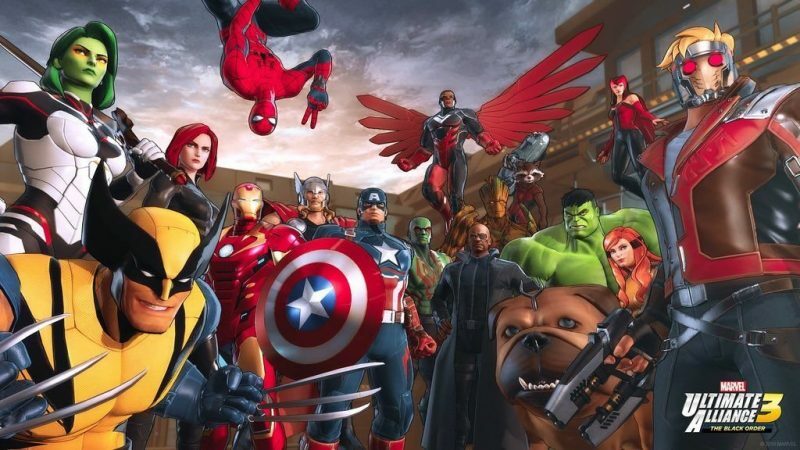 Marvel Ultimate Alliance 3: The Black Order launches and will be available for purchase starting July 19. The story involves a custom-made crew of superheroes that are on a quest to assemble all the Infinity Stones before Thanos and The Black Order can unleash chaos and destruction across the universe. Marvel Ultimate Alliance 3: The Black Order: For the first time in 10 years, the Marvel Ultimate Alliance series returns with four-player action and an original story, all exclusive to Nintendo Switch! Assemble your dream team from a huge cast of Super-Heroes, including returning heroes like Iron Man, Wolverine, Spider-Man, Hulk and Captain America along with newly announced characters like Black Panther, Deadpool, Spider-Gwen, Doctor Strange and Marvel’s ultimate cosmic protector, Captain Marvel. Players can save the world together with up to four players in TV mode, with four separate systems locally or online. A dynamic zoomed-in Heroic Camera will give players the option to get closer to the action. As characters level up, they’ll learn new skills they can use on the fly, and also perform powerful Alliance Extreme attacks. Marvel Ultimate Alliance 3: The Black Order launches exclusively on the Nintendo Switch on July 19.